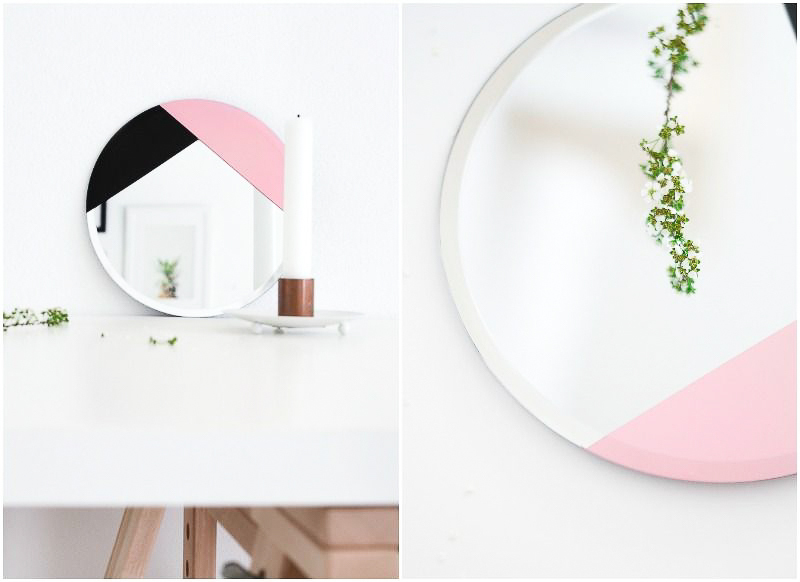 One of my favorite styling tricks is to decorate with mirrors. They are not only stylish but also very functional–reflecting light and making every corner feel brighter and bigger…that’s probably why I have them in every room. How many have you got? Since I like having them in different forms and shapes, I decided to create a design-inspired one, adding a bit of geometrical edge and color. Whether it’s displayed by hanging or standing, it’s fun and playful! The thing about this project is that I have used a very special (super-budget friendly!) mirror which used to be a candle stand. I probably would have never guessed that! 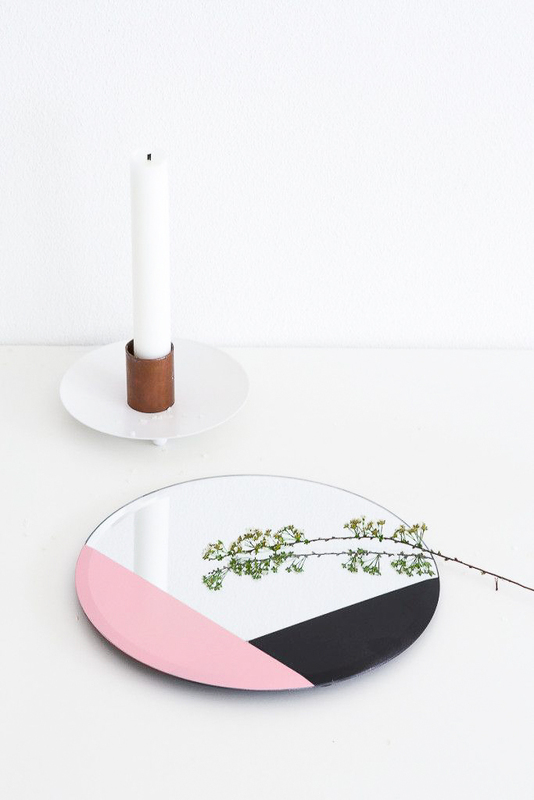 Small, round mirror for example this one. 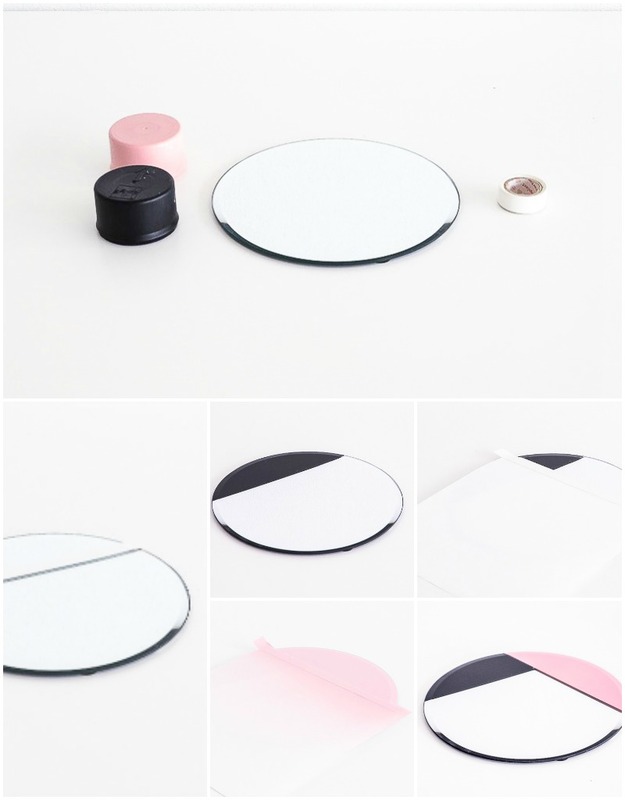 Place a piece of painter’s tape across the surface, marking off a section you want to paint (about one-third of the mirror) Cover the rest of the mirror’s surface with paper to protect it. Spray paint the section with black. You might need to spray two coats to get a really smooth and neat finish. Then repeat with pink paint and wait for it to dry well! Taaa da! What do you think guys? 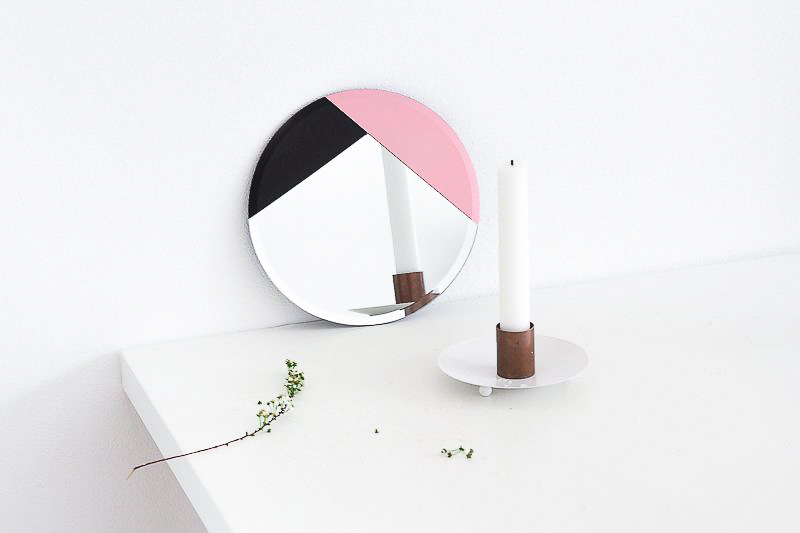 If you like the candle holder in the photo above, see how to make it here. And another fun mirror project here. Have a good day guys! What brand are the paints your used and is it a flat finish? I used italian spray paints- ‚fly color’, pink and black in matt finish, hope you are going to like the result!